Need to repair or service your auto’s air conditioning in Petaluma but don’t want to go to the dealership? 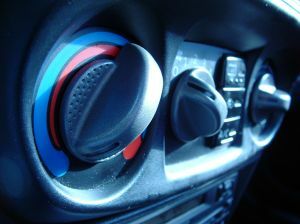 Northbay Automotive is the dealership alternative for auto air conditioning repair. We pride ourselves on being the best of the best, and our happy customers come to our Petaluma shop to have us maintain their auto air conditioning and keep them cool. Specializing in Volvo, Domestic, and Asian automobile makes and models, we service the air conditioning systems for autos like Ford, General Motor, Jeep, Honda, Nissan, Subaru, Toyota, and Volvo. Contact us online to schedule an auto air conditioning service. Northbay Automotive is located at 929 Petaluma Blvd. South, Petaluma, CA 94952. Need a map? Click here. If you have additional questions about our auto air conditioning service in our Petaluma shop, email us at [email protected].